We present observations of SCP 06F6, an unusual optical transient discovered during the Hubble Space Telescope Cluster Supernova Survey. The transient brightened over a period of ~100 days, reached a peak magnitude of ~21.0 in both i_775 and z_850, and then declined over a similar timescale. 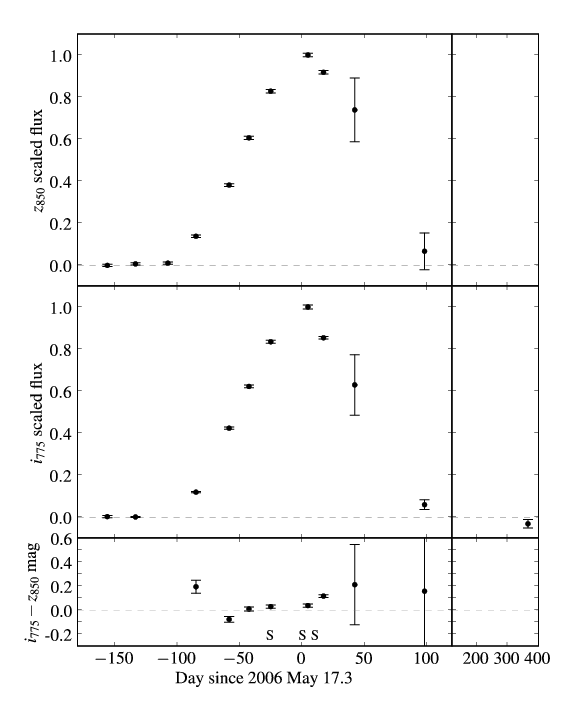 There is no host galaxy or progenitor star detected at the location of the transient to a 3 sigma upper limit of i_775 = 26.4 and z_850 = 26.1, giving a corresponding lower limit on the flux increase of a factor of ~120. Multiple spectra show five broad absorption bands between 4100 AA and 6500 AA and a mostly featureless continuum longward of 6500 AA. The shape of the lightcurve is inconsistent with microlensing. 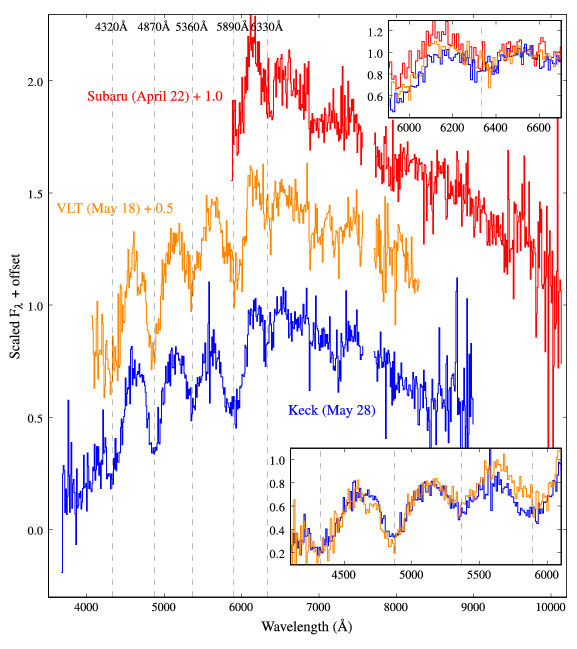 The transient's spectrum, in addition to being inconsistent with all known supernova types, is not matched to any spectrum in the Sloan Digital Sky Survey (SDSS) database. We suggest that the transient may be one of a new class.